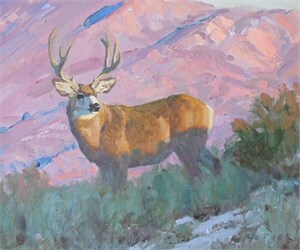 William Alther grew up in West Texas, where he developed an interest in both art and the natural world at an early age. A degree in wildlife biology from Texas A&M University eventually led to a position in the zoology department at the Denver Museum of Nature & Science for 13 years. Throughout, he was an active artist and in 2004 began painting full-time. He is endlessly fascinated by the landscape and the creatures that live there. 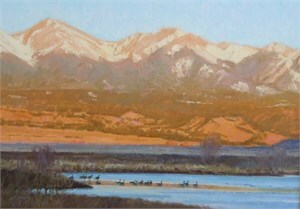 "I do enjoy painting other things but animals and landscapes just seem to dominate my attention. Perhaps the best part is the field work. Whether it's getting outside for a couple of hours or going on extended trips, I thoroughly enjoy the exploring, observation, photography, sketching, and outdoor painting that are essential parts of the process to produce paintings." 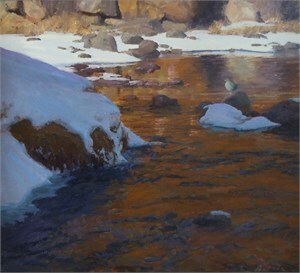 William participates in several prominent national shows each year in addition to his association with several established and respected galleries. His work is in the permanent collection of the Leigh Yawkey Woodson Art Museum and many private collections. He lives in Denver, Colorado, with his wife, Debbie.